INTRODUCTION: I’m Mikal; I am 23 years old and I have been in the hobby since I was a kid! My mom first set up a 29 gallon aquarium with several different types of fish and I’ve been hooked ever since. 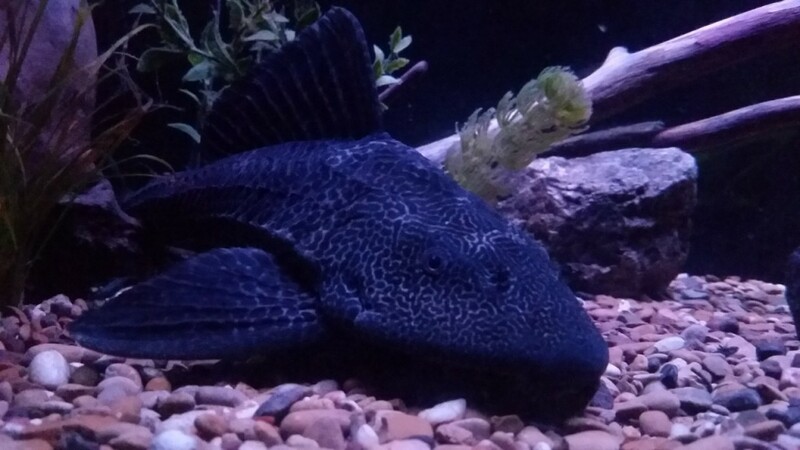 As a kid my favorite was always the common pleco! Not sure why but it’s always been a favorite of mine. 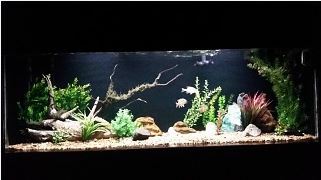 I started keeping my own fish just before I finished college by building my own 135 gallon freshwater tank. And of course my first fish was a 12″ common pleco named toothless. The hobby then took off from there. I now have many different aquariums and the smallest is 125g fresh. My favorite thing about the hobby is how calming and creative it is. 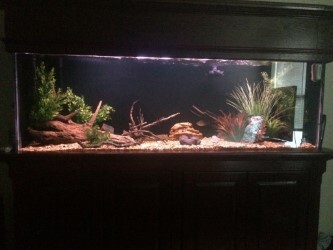 I have Tourettes syndrome and also a paramedic so being able to relax by my aquarium after a stressful day is always wonderful. I do have other hobbies such as camping, bass fishing and building hot rods. SETUP: The tank that is featured is my favorite! It’s a 150 gallon freshwater with a cherry wood finished stand and canopy. I have a Fluval FX6 canister filter, EHEIM skimmer and a circulation pump running. I also have a Finnex planted+ LED light and an EHEIM 300w heater. Very simple setup. 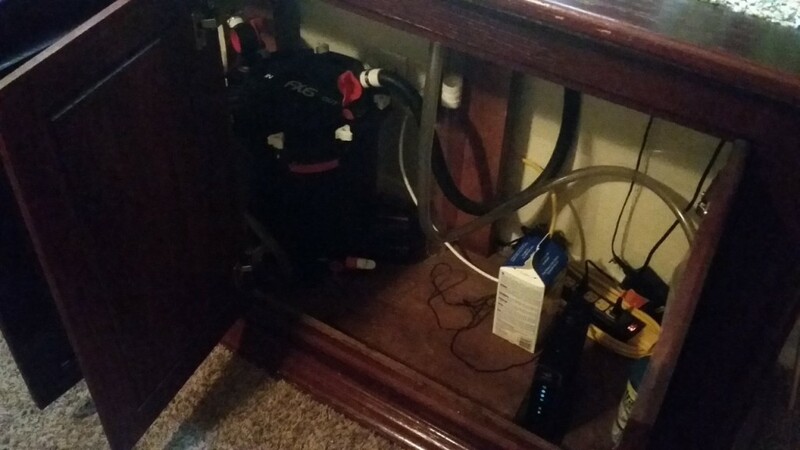 MAINTENANCE: I do a 50-70% water change once a week and clean the filter once ever 4 months or as needed. I also try to test the water before and after water changes. Then I clean the tank and rock once a month. 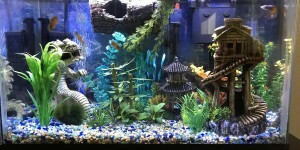 INHABITANTS: All but 2 of the fish in this tank are north American native. 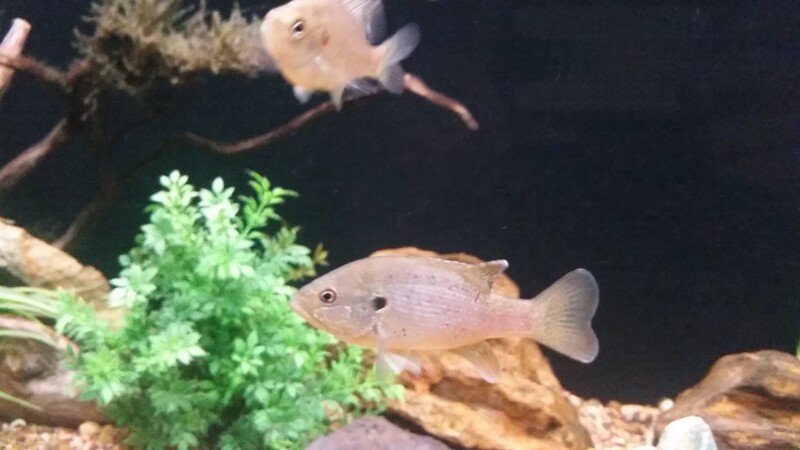 (No they are not wild caught) I have 1 male 6″ green sunfish that is a year and a half old named buddy, 1 female Green Sunfish that is just under a year named gabbie, 1 bluegill, 1 pumpkin seed sunfish, 1 redear sunfish, 1 3″ asian algae eater and my now 15.5″ common pleco named toothless. 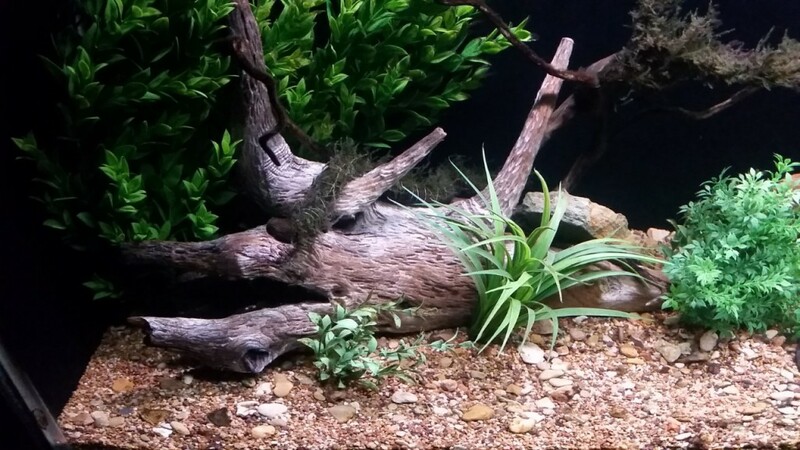 I have a few pieces of driftwood I water logged myself. Plastic plants that hopefully soon will be replaced with live plants. FEEDING: They all live happily together and all beg for food like a dog every time I walk in the door. 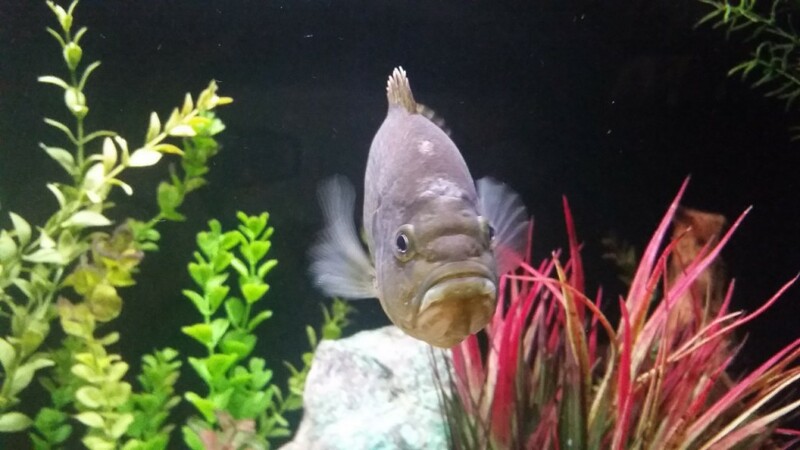 I feed the flake food every other day and blood worms 2-3 times a week. I also feed the algae eater and pleco algae wafers and sometimes cucumber and squash. CONCLUSIONS: I love the fish and the hobby. I learn more and more every day. I have loads of fun building aquariums. It even helped pay for my paramedic classes. I also enjoy meeting new people through the hobby. Thanks for picking me for this month! It means a lot to me!